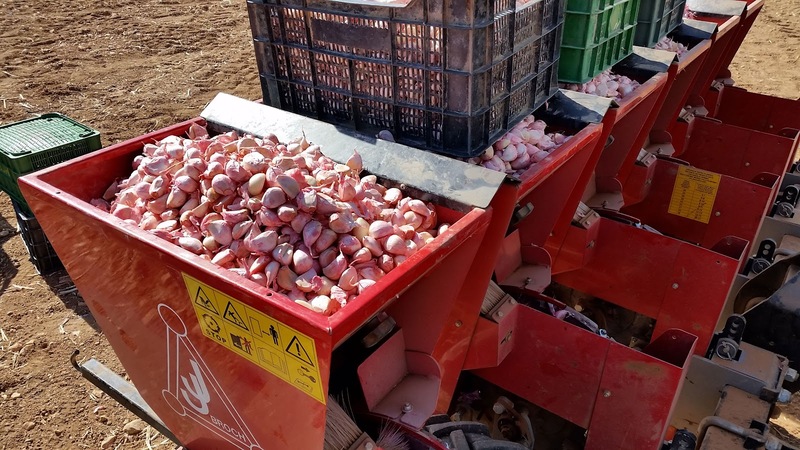 One more time, the campaing of spring garlic has begun in La Mancha region. 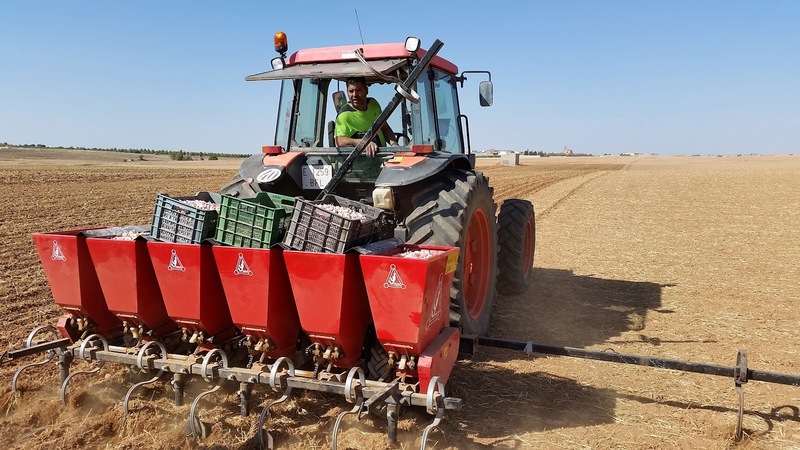 Definitely, this crop is the most important in our Village and a few villages more in Las Pedroñeras Protected Geographical Indication (PGI). 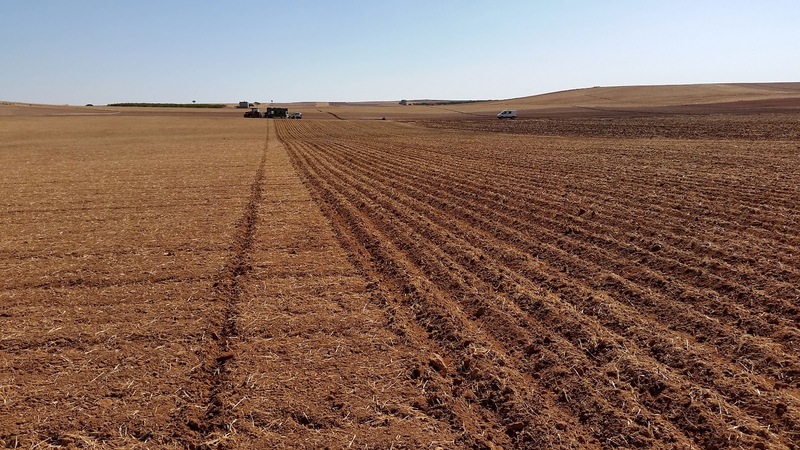 So far everything is common. 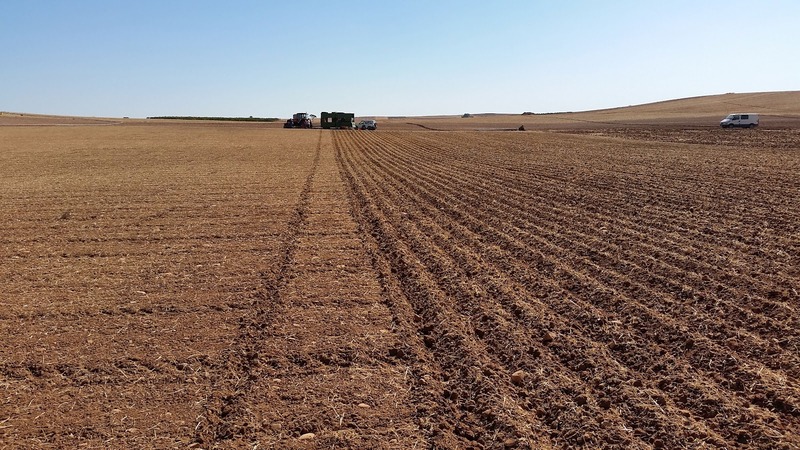 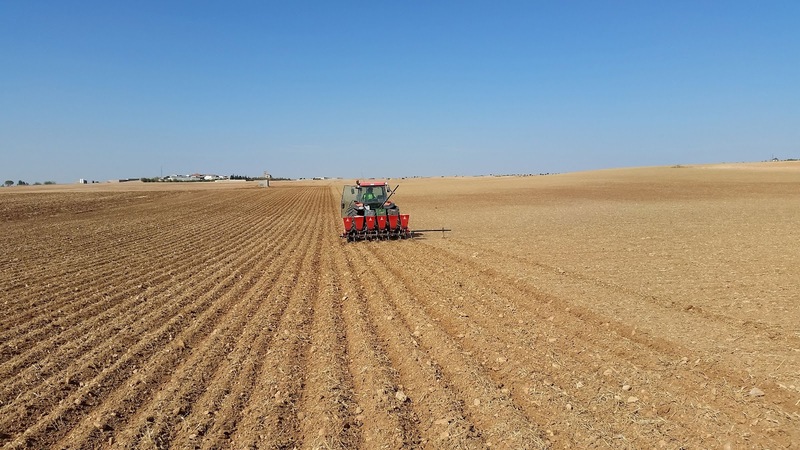 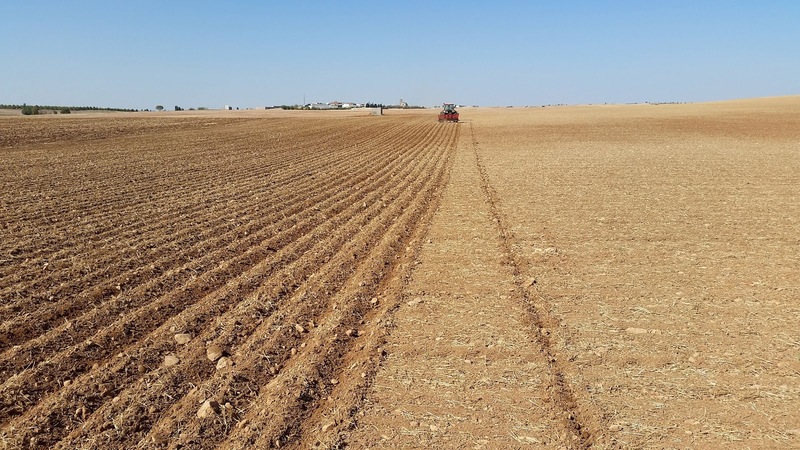 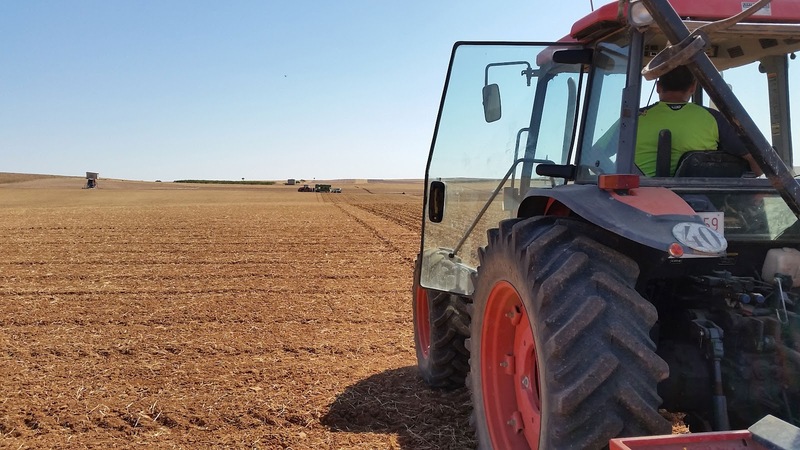 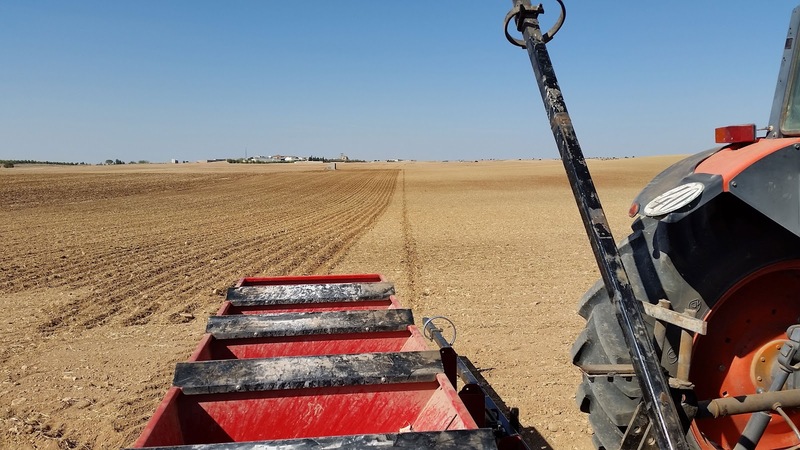 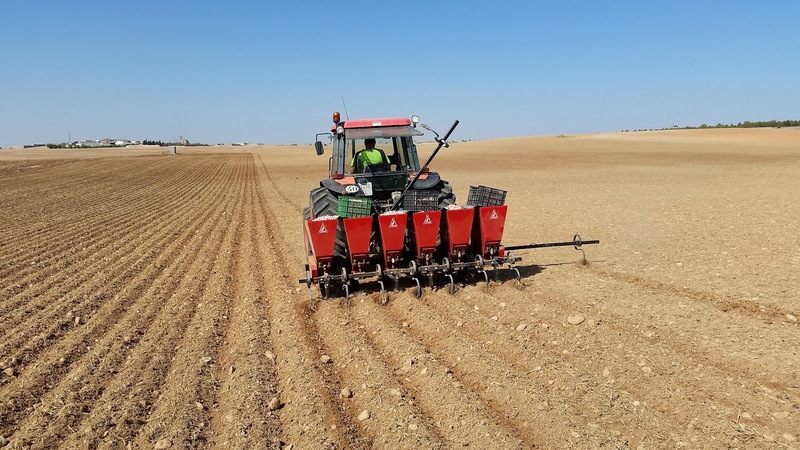 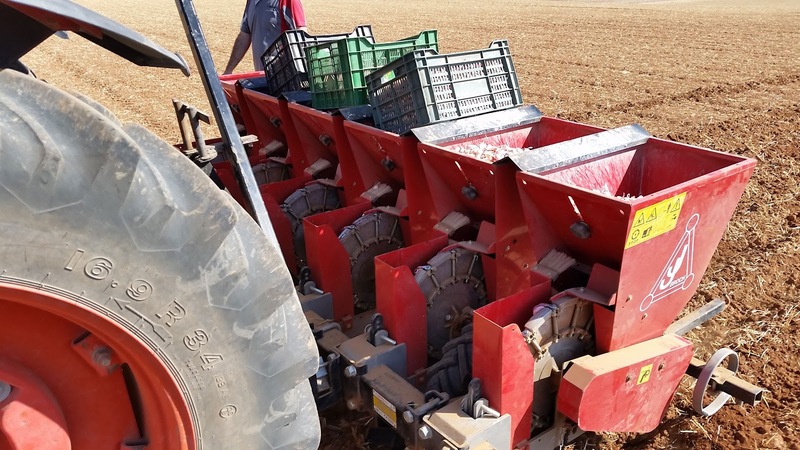 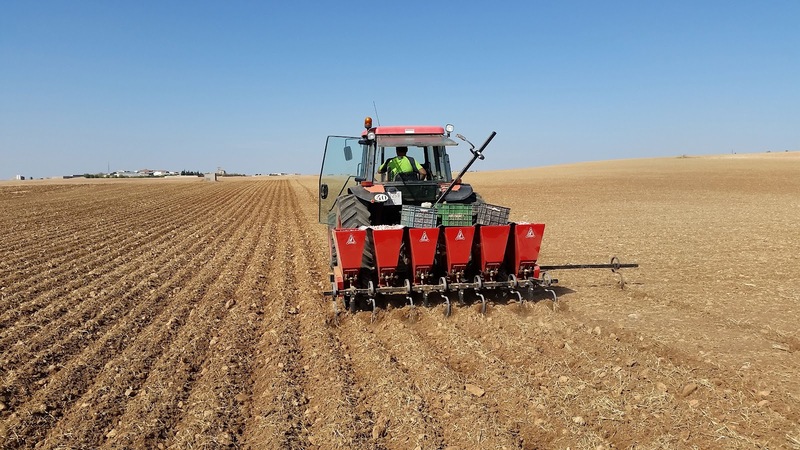 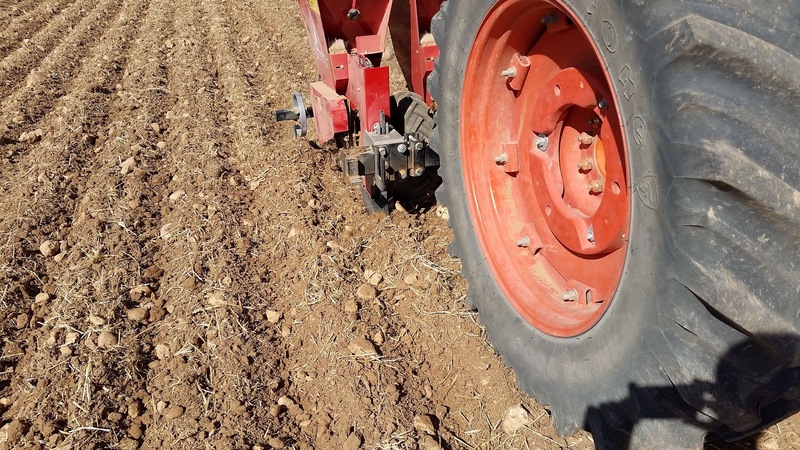 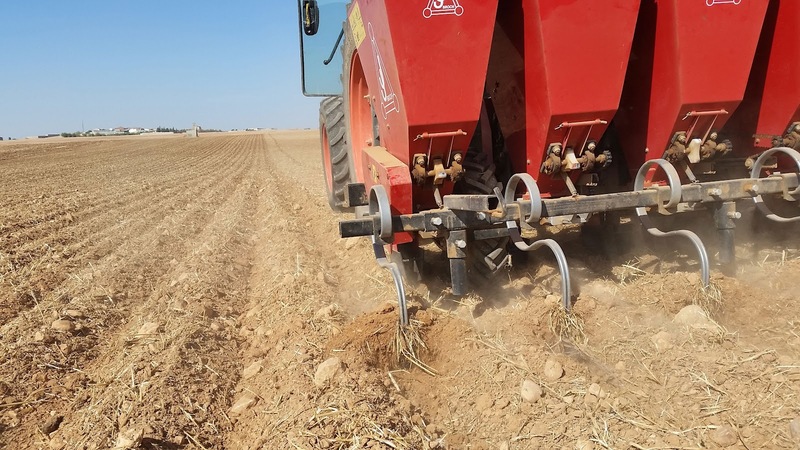 We would like to speak about one novelty... it is related to Luis Carlos, the first farmer who has planted garlic using an autosteer system in our village. 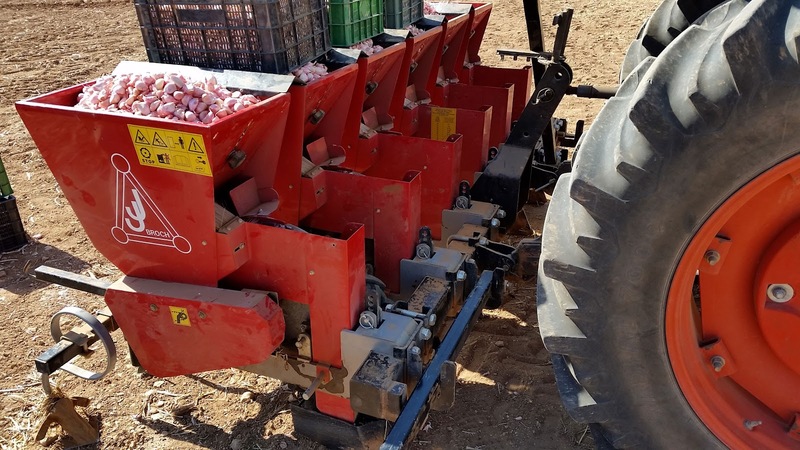 The new technologies have been introduced for all crops and garlic is using them too. 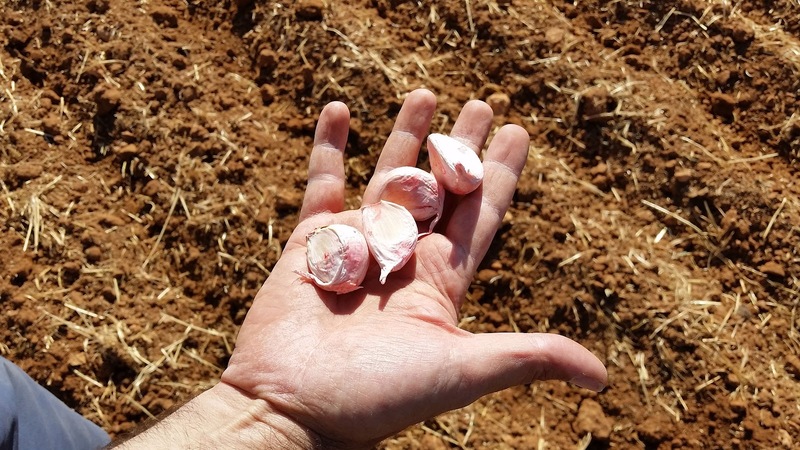 We could visit Luis Carlos together with his brother and father when they were planting garlic. 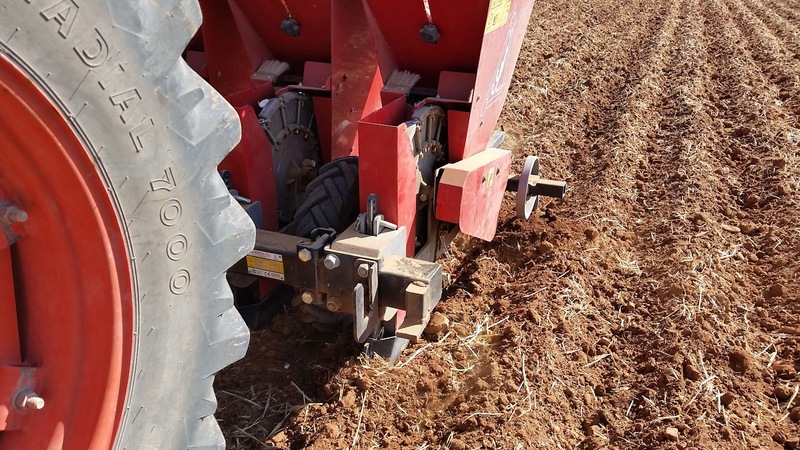 The autosteer system used is Cerea autosteer, we have spoken about previously in some posts (we use it in our tractors too). 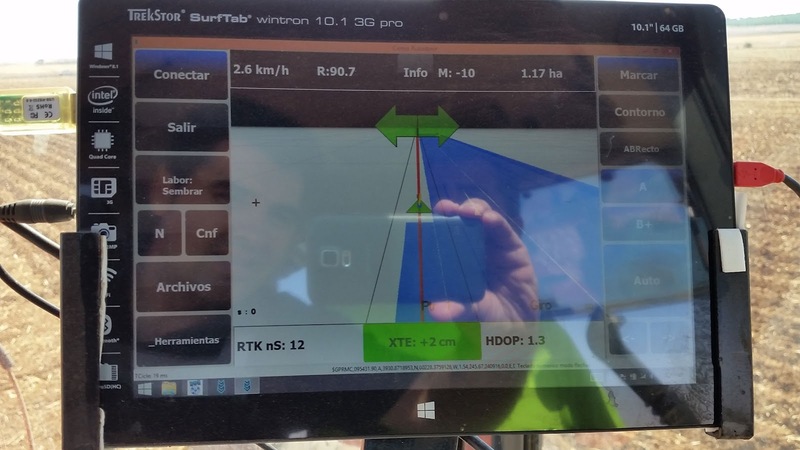 This autosteer system uses a smart receiver that works with GPS (American Service) and GLONASS (Russian Service) signal and it is helped by mobile 3G connection that allows it to connect with the nearest GNSS station of the Spanish Geodésica network so they can work using free RTK (L1) signal and the system has an accuracy of 5cm pass-pass after 3mins convergence. 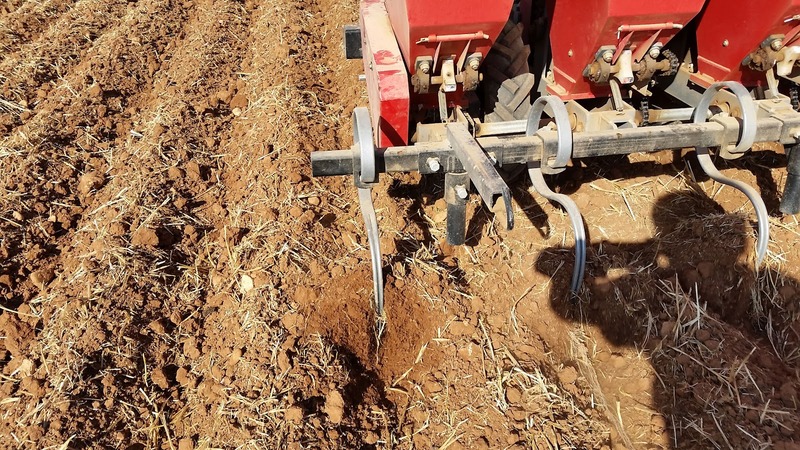 The most remarkable difficulties in sowing tasks are firstly the distance between rows (45cm) and then the working speed (2,5km/h); on the other side cereal or sunflowers don’t have this problem. 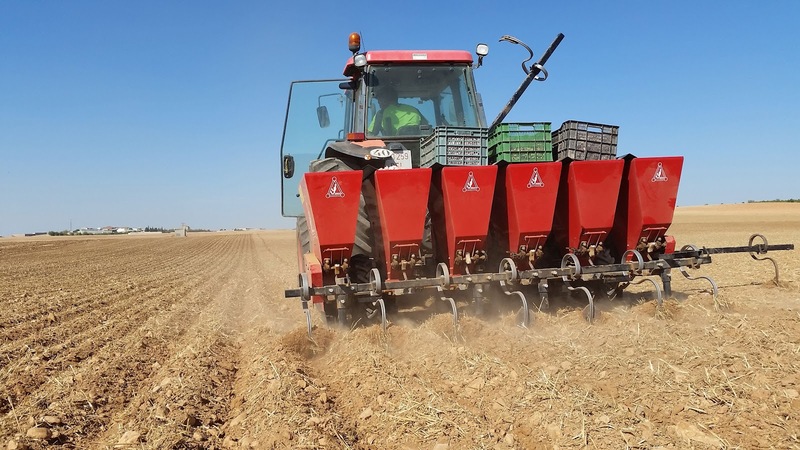 As farmer has to harrow this crop a few months after growing, the distance between rows is really important and they must have the maximum accuracy... we think you can see the result in our video. 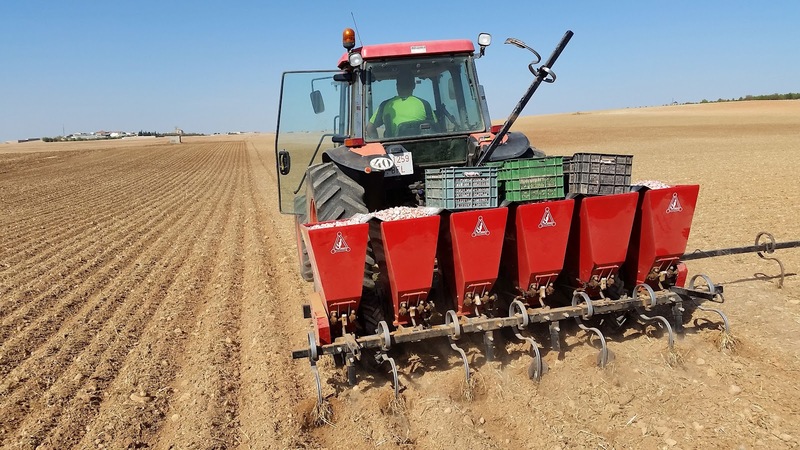 Muy buen artículo. 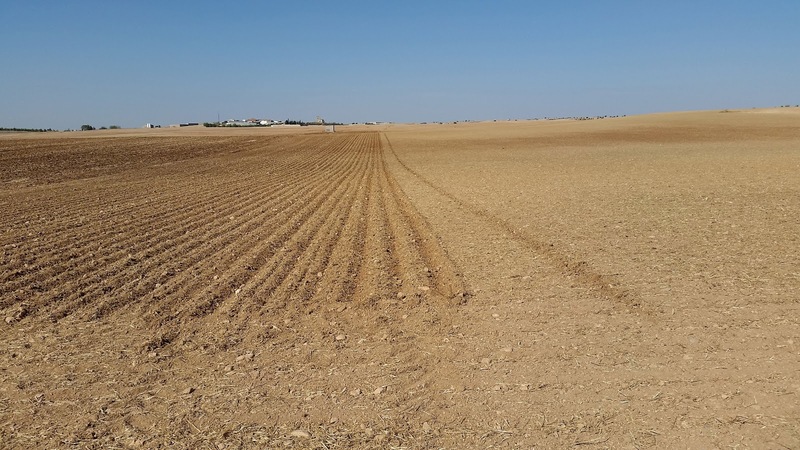 Solo se me ocurre una pregunta ¿para qué llevan el marcador? 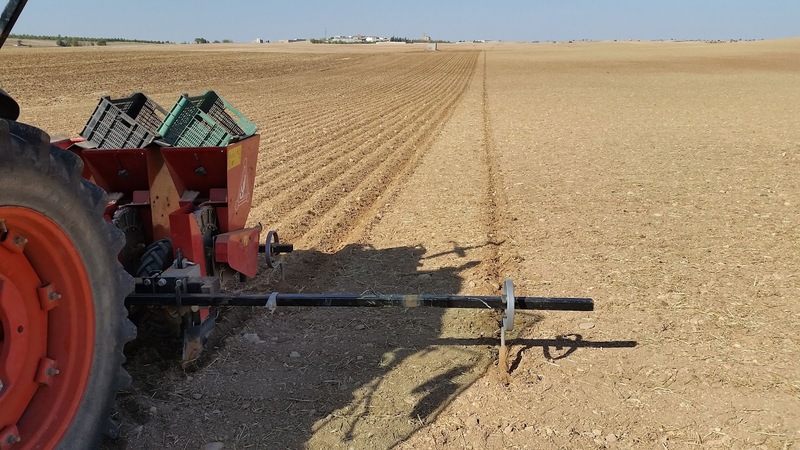 ¿todavía no se fían? 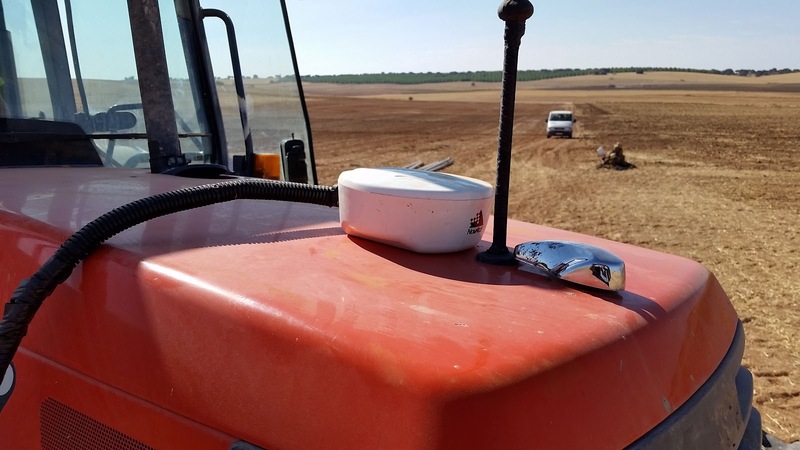 Rural farmers are people who are using autosteering system by GPS.